Like a sweater for your hands and head, this oyster gray wrist warmers and slightly slouchy hat set will keep you warm--while adding a soft glow to your day. This listing is for the matching set. 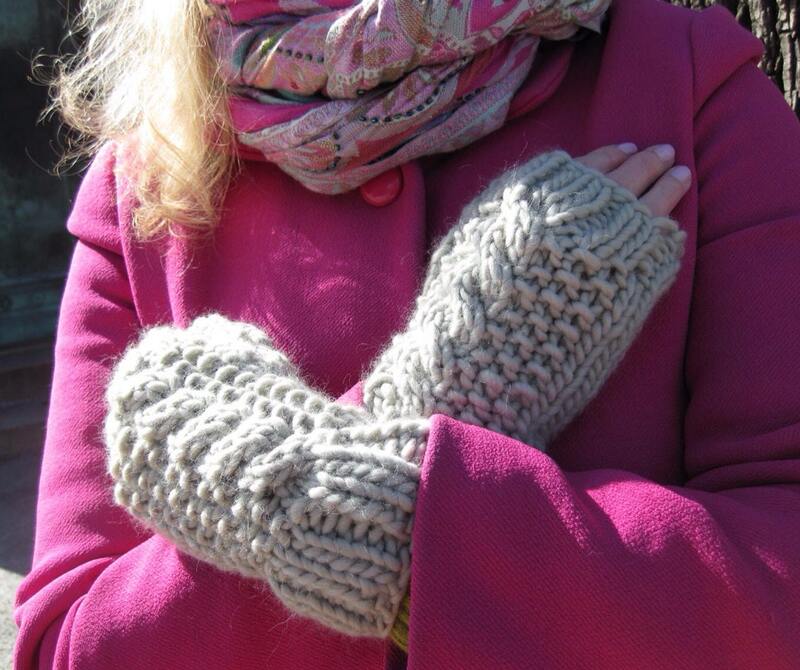 Size: MITTS--8-inch length. Easily fit 7-inch circumference (should fit average woman's hand). HAT--10-inch length (not counting fluffy pompom). 18-inch circumference unstretched (should fit average woman's head 20-23 inches stretched).